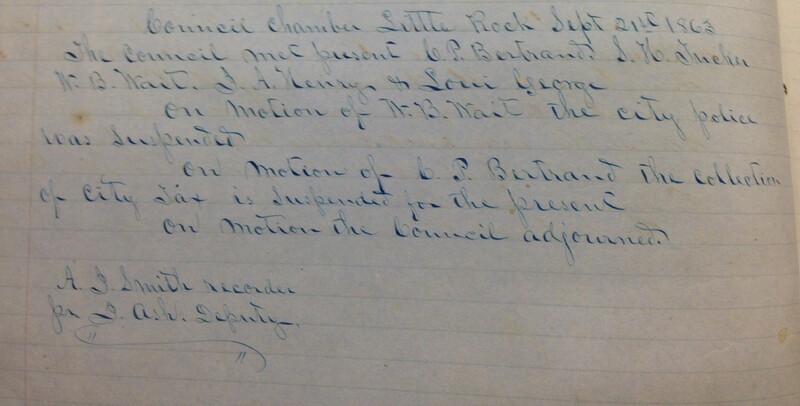 This entry was posted in Government, History, LR Look Back and tagged A. J. Smith, Battle of Little Rock, Charles P. Bertrand, City of Little Rock, I. A. Henry, J. Ash, Little Rock Police Department, Lou George, Matthew Cunningham, S. H. Tucker, W. B. Walt, William Eliot Ashley by Scott. Bookmark the permalink.